Placement – everyone looks in the mirror! 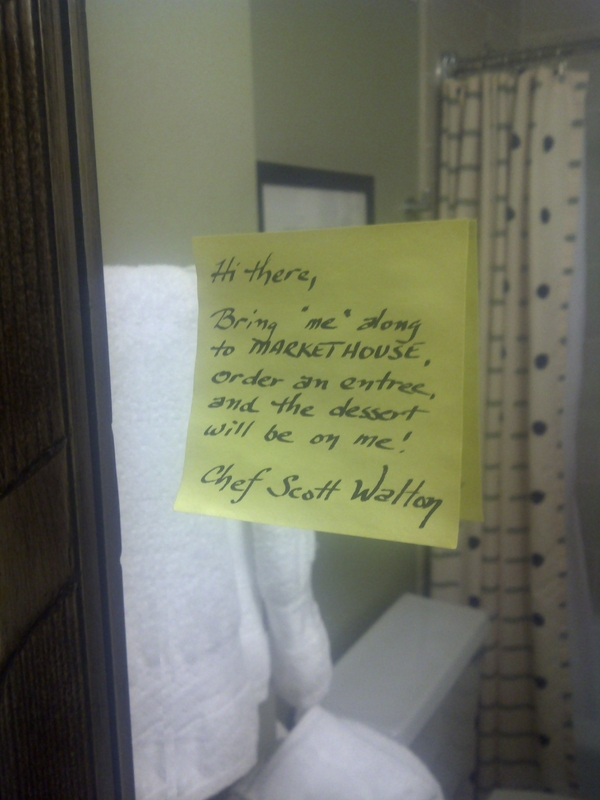 Eye-catching/unexpected – my first thought was “Did the last guest leave a note?”! Personal call to action – the message was an invitation from the chef, not just a faceless offer. Don’t you think this has more impact than a l flyer left on the desk?